Okazaki Castle is the focus of the city, first built in 1455. Birthplace of Tokugawa Ieyasu, seat of the feudal daimyo rulers of the Mikawa fief during the Edo period, the Okazaki Castle grounds are now known as Okazaki Park, and form the center stage for some of Okazaki’s major festivals such as the Ieyasu Gyoretsu (early April), Wisteria Festival (early May) and Fireworks Festival (first Saturday of August). 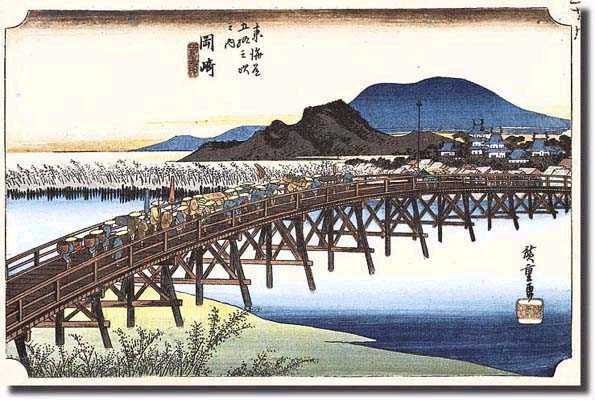 Okazaki was also a key post town on the old Tokaido highway, with many of sites of interest. 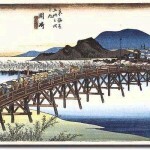 Although these days the Tokaido has been replaced by expressways and railroads, with high tech manufacturing and advanced services the mainstay of the local economy, the traditional products of Okazaki such as Hatcho Miso (a famous and full flavored fermented soybean paste), stoneworks, fireworks (Okazaki firms totally dominate Japan’s hanabi industry) and many local arts and crafts remain.